Yet another moment within moments. Time to order the headstone. You have navigated your way through the rollercoaster of practicalities that accompany the death of a loved one. You have served the tea and sandwiches, made the calls, written letters, notified various legal and governing groups and dealt with detail upon detail. Maybe you have held and been held. Maybe you have cried and helped cry. As a bereavement counsellor with Hospice, I work with patients and loved ones. No matter what time has passed, I would hazard a guess you have been down a dark road and may still feel like the way is unchartered. And now…the headstone. 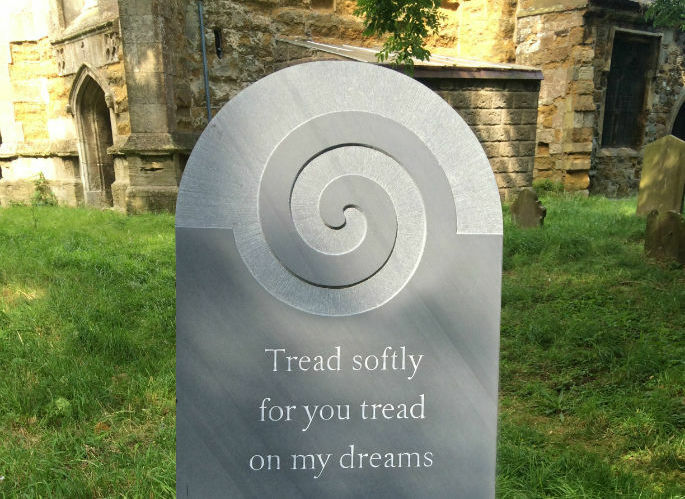 A tasteful tribute that must forever ‘carve in stone’ who a person was. For some, there is no hesitation and the words flow freely; a familiar written portrait that easily makes a carved reflection. These able people instruct the headstone creators with confidence. But what if you don’t know what to say? Maybe there simply are no words that will adequately capture the essence of all that this cherished soul stood for. The pressure can be excruciating. If only we all had the creativity, insight and poetic prowess to produce the likes of; "si monumentum requiris, circumspice" (“If you seek a monument, look around you"). This famous inscription by his son at the tomb of Sir Christopher Wren is one of the most poignant and powerful tributes to a fruitful life. Easily we cast an eye around one of the finest pieces of world architecture and know what every breath he took stood for. Not so easy for the accountant, nurse, teacher, painter or stay at home mum who may not leave behind the imposing 111m statement that is St Paul’s Cathedral. Their great structure may only remain in year heart or in photos and memories. After all you have been through, finding the right words may feel like an insurmountable task. The grief process in our western culture has a rigid pathway. Expectations border on cruel in terms of the time it ‘should’ take to ‘get over someone and move on’. Few are as critical of making the recovery and integration deadline as we are of ourselves. Society (and our own loved ones) need us to heal quickly and efficiently because pain is painful to those left behind. The pressure is colossal to move through the process of bereavement methodically. The simplicity of the Kübler-Ross 7 grief stages (shock, denial, anger & guilt, despair & depression, acceptance*) is fundamentally flawed! Few of us move gracefully through this process and there isn’t always a distinct end. Years from a death we can burst into tears as if it happened yesterday. This need not signify a failure to ‘get over’ someone but more like an appropriate reflection of suffering. And every task relating to the finality of death can cause pain, despite the joy of memories and respectfully marking their time on earth. The award-winning journalist Tod Pitok struggled to choose words for his father’s headstone; “I’d wanted to rescue my father from anonymous oblivion, and fix a place in the world for him, but somehow I felt as if I still hadn’t quite hit the mark.” Ultimately he chose humour for his father’s headstone because he believed that it was what he would have wanted. He also bravely acknowledged his father’s failings and came to terms with resisting the common temptation to glorify the dead. His favourite inspirational epitaph was for a Jewish couple; “Bess: feminist, listener, mentor, organiser. Marty: generous, artistic, calm, cultured.” Just a simple list of highly prized attributes and yet who would underestimate the thought that this took? Where do you and I start when looking at the cold, blank stone before us? Do we inscribe what was important to them or why they were important to us? Do we highlight their achievements or what they loved…or both. Do we presume to sum up all that they were at the end or a reflection of their journey? Are we the one to do justice to this task anyway? This is not a battle you have to wage alone. A counsellor can help you work through this process at your own pace. No matter how well meaning and supportive, talking to loved ones can be challenging for many reasons. Clients often relay to me how desperate they are to wear a brave face for their family. The thought of getting ‘professional help’ can be intimidating but counselling can provide a safe and non-judgmental space to explore and express your feelings. 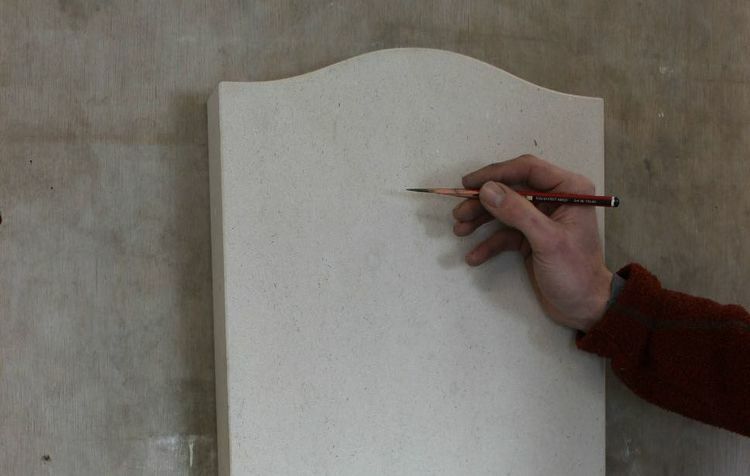 You are important…and no doubt the person whose life you are carving in stone would agree.